There’s no rest for the man on the land. From rugged wooded valleys to vast green pastures there’s always the next job to be done. Their ATVs need to be as tough as they come yet comfortable enough to get you through the day Introducing the new fuel injected 4WD Kodiak 450. With it’s all new styling, new chassis, wider track and long travel suspension the new Kodiak boosts your comfort and confidence with improved nimble handling and ride catering for a variety of size and skill levels. 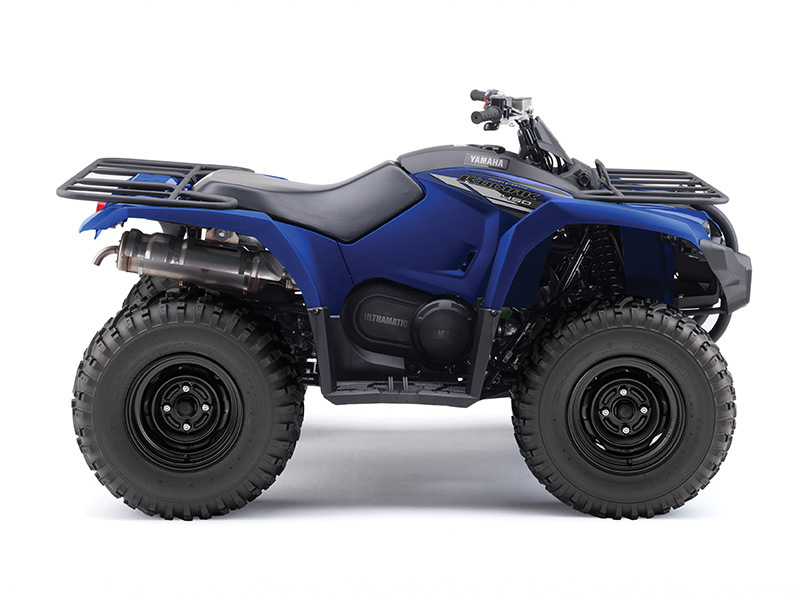 Kodiak 450 brings Yamaha's renowned combination of the industry's most durable automatic transmission—Ultramatic—with the rider-centric control and traction of On-Command selectable 4WD. The result is outstanding capability with the confidence to get you through the most challenging terrain and back again. Kodiak 450 offers large textured floorboards is one example of how every aspect of the Kodiak 450 was designed to bring class-leading levels of refinement to the middleweight 4x4 ATV segment. 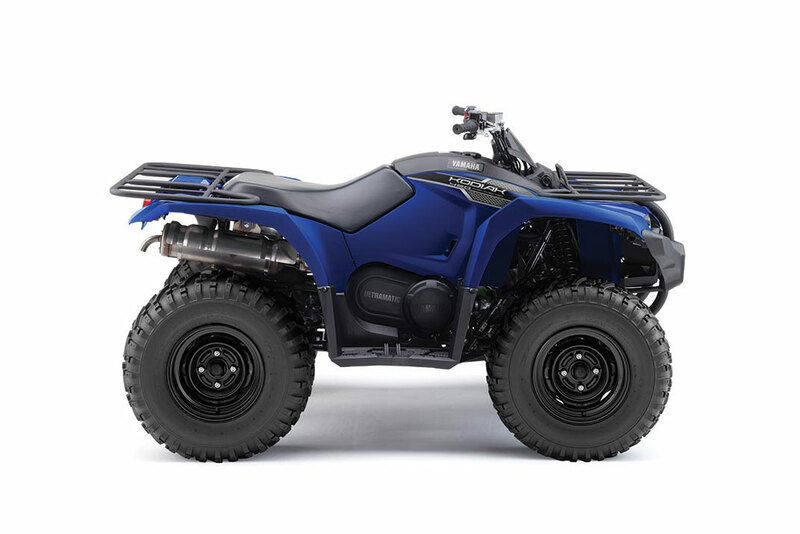 Kodiak 450 features newly developed rubber engine mounts that isolate vibrations from the engine bay and give the rider one of the smoothest rides ever offered in a utility ATV. Kodiak 450 offers a riding position with the same roomy feel as the larger Kodiak 700. With tall handlebars and a seat that is long and plush for improves rider comfort for extended work days. 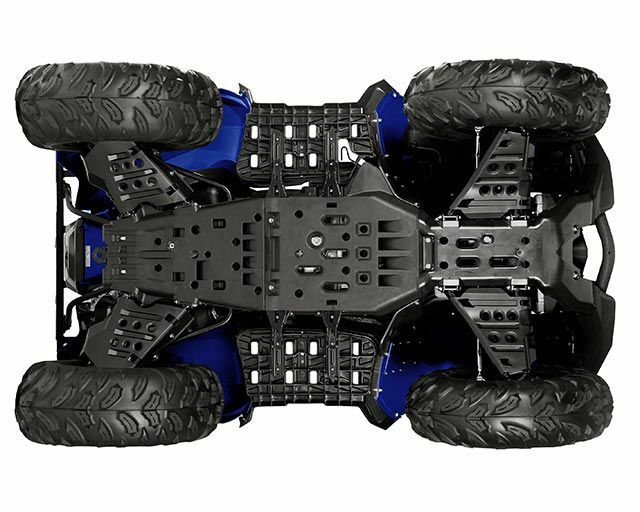 The Kodiak 450 features independent double wishbone suspension for an optimized vehicle stance, light steering feel, and improved feeling from the shocks across the entire range of travel. With 170mm of front wheel travel and 188mm at the rear, Kodiak 450 provides excellent rider comfort even in the roughest terrain. The Kodiak 450 boasts improved rider comfort for extended work days with new oversized thumb throttle reducing rider fatigue and improved control. Rugged, large-diameter steel cargo racks with durable wrinkle paint finish can pack a total of 120kg combined. 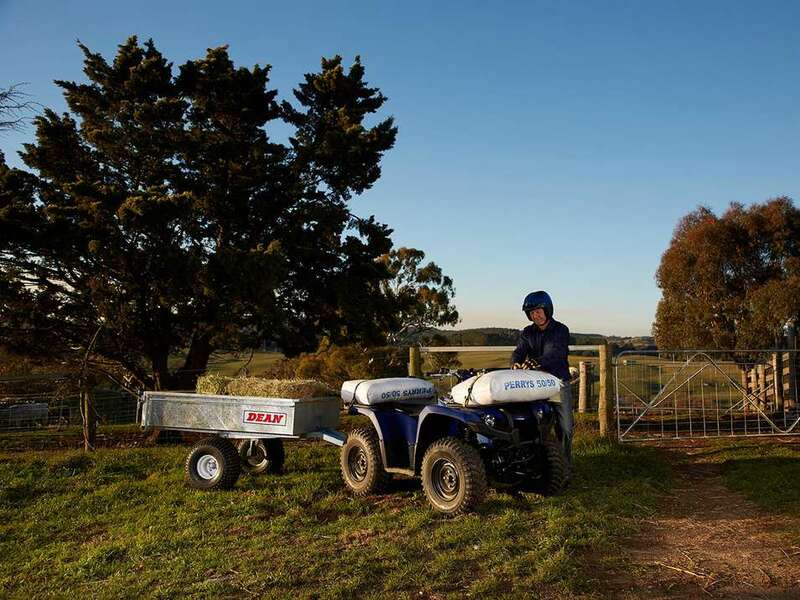 A heavy-duty ball mount comes standard and Kodiak 450 can tow more than 600kg.